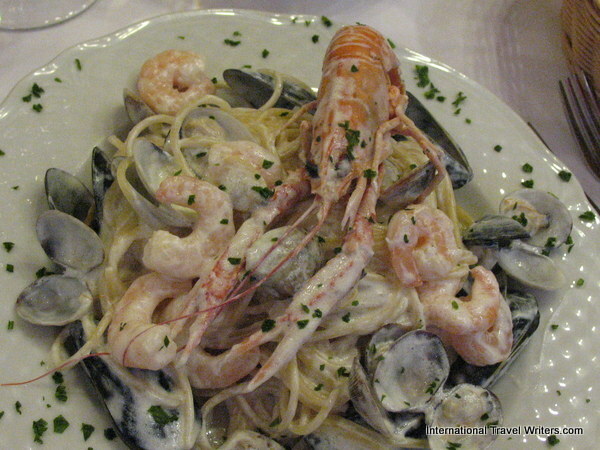 We discovered the Ristorante Beppino on our visit to Venice in 2011 and looked forward to returning there this visit. However, we wandered the narrow and maze-like streets and simply couldn’t recall its location. Leisurely walking and browsing at all the fantastic Murano glass items in the windows occupied us partially but we had worked up an appetite. We stopped at a pleasant looking outdoor sidewalk trattoria, perused the menu and ordered. 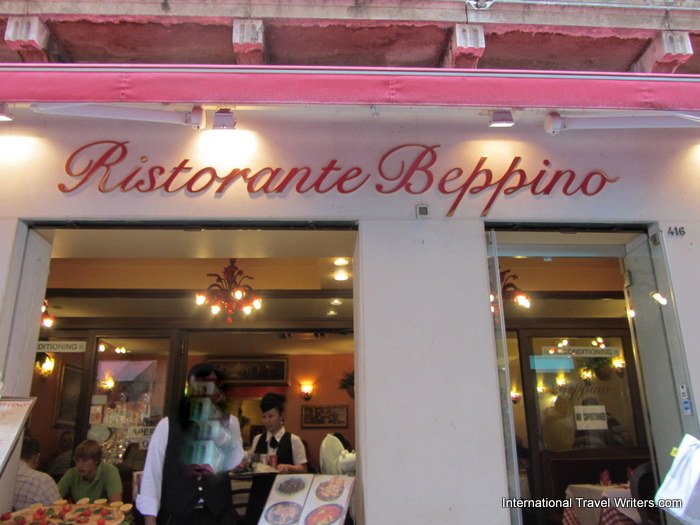 While sipping a glass of wine, awaiting our meals we looked across the pavement to see…Ristorante Beppino! 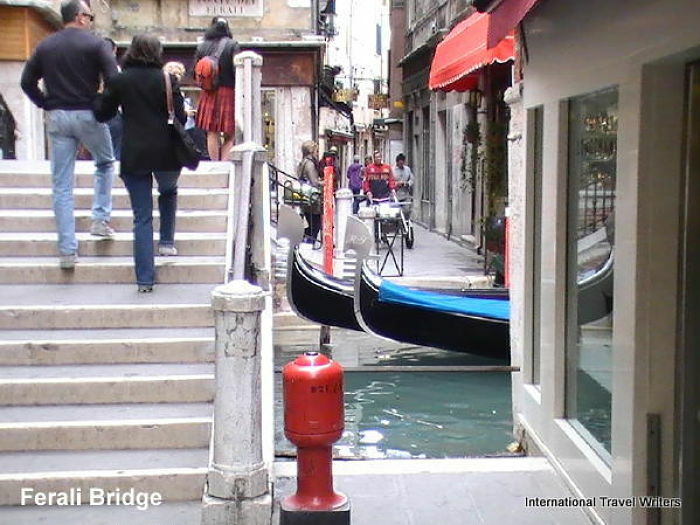 It was too late to make a change because we had ordered but we marveled that out of all the walking and of taking twisting paths through the streets of Venice…we had arrived at the specific restaurant that we had been seeking. 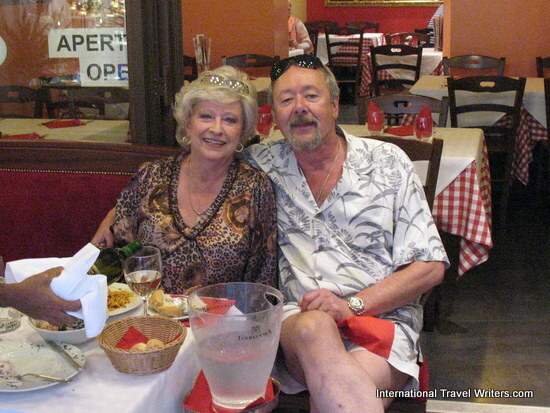 We started talking across the pavement to the waiter who was welcoming tourists into his establishment and when we had finished our meal we went to talk to him. We told him that we had looked for Beppino’s and had given up only to see them across from us. We all had a good chuckle over that. His English was excellent. 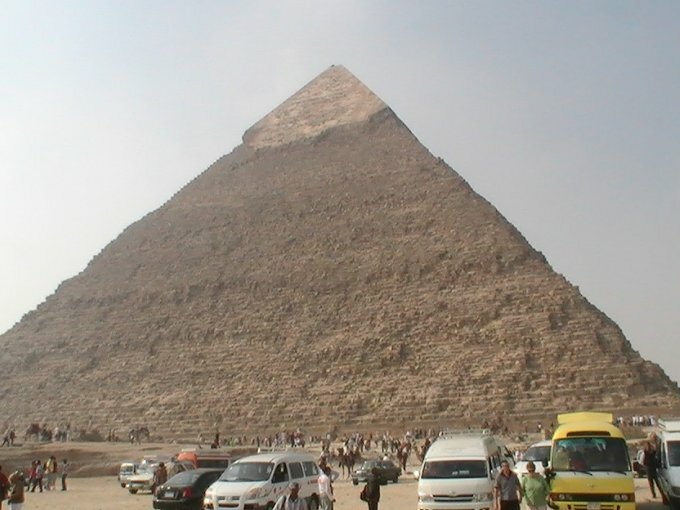 We told him we would return the next day. His name was Bepari Anowar and he gave us star treatment when we returned. 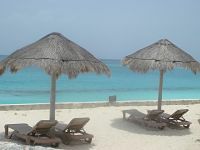 The reason we had been seeking this place was that if you wanted to change anything on the menu, they would gladly do it. My husband prefers a cream sauce similar to an Alfredo sauce with his seafood and pasta combination dishes and it was rare to find one that didn't list just the tomato-based sauces. They had customized the dish to his preference on our previous visit and he thought it was incredibly good. He was hoping for a repeat performance. He was not disappointed. It was great! 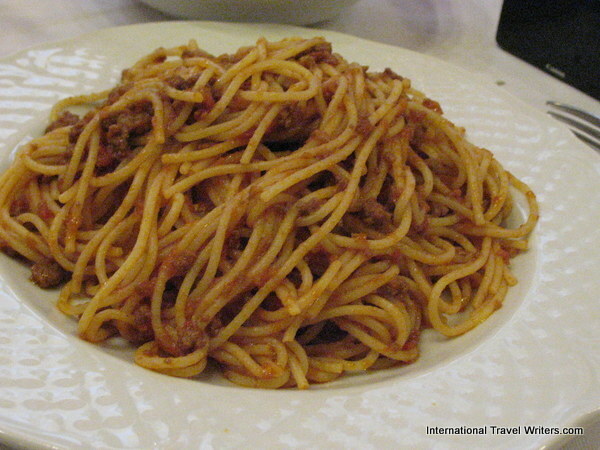 My lunch was a standard spaghetti with meat sauce that was piled high on my plate. At least we were walking off a lot of these calories and knew we'd probably have to diet when we got home. 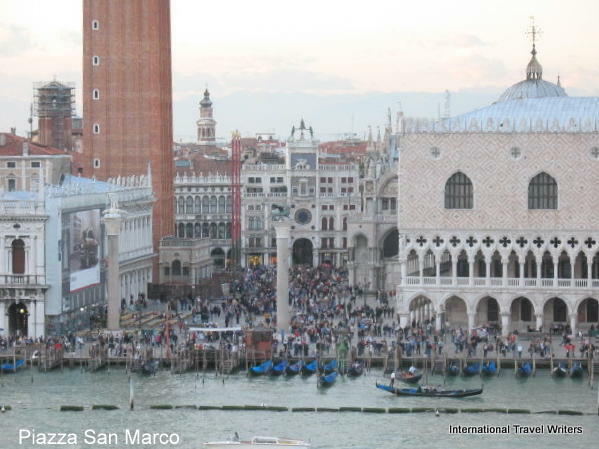 But, when you're in Venice with all that fantastic Italian food, who cares? 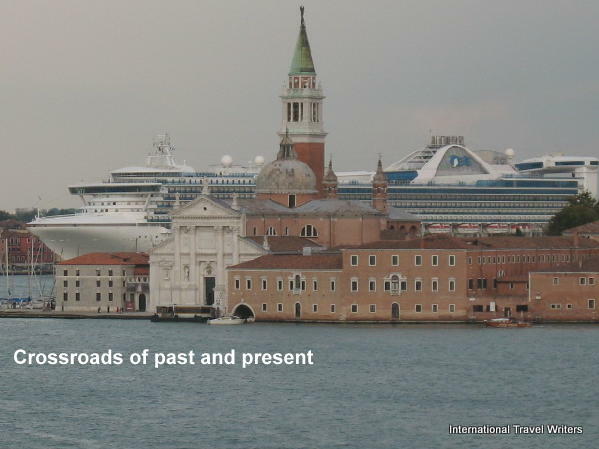 We returned once more prior to leaving Venice and of course will visit again on a future venture in that area. 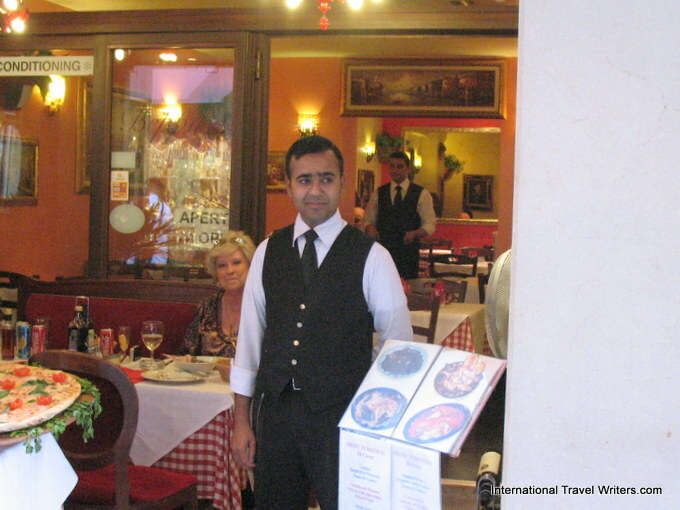 We did find a few other restaurants such as Trattoria Da Roberto that we mention on a different page. Others were very good but didn't match the value offered at Beppino's whose prices were more reasonable for first class dishes.